Unfortunately, there are situations when roofing repair or roof replacement must be done in times when the weather is not very pleasant. For example, if there is a problem with the roof, people will have to get involved in roofing repair even when the weather is cold. Roofing in weather conditions like these is certainly more complicated compared to roofing in warm weather. It is much easier to place the shingles in a proper way and connect them to the roof when the weather is warmer. Experienced roofing contractors are well-aware of this fact, and this is the reason why they are using special tools, equipment, and materials for roofing in cold weather. In addition, they are taking special measures to make sure that they are completely safe and secure while they are doing this. So, what should you look for in a situation like this? For starters, you must do everything you can to make roof shingles stick properly to the top of the home or building. This activity is difficult even when the weather is warm because the adhesive below the tiles must reach a temperature of 60 F. This is the only way to ensure that the shingles are in place. Of course, there is another option which is much safer and easier, but it takes more effort and time – the use of roofing cement. If you opt for this solution, you will need to use this special cement on each shingle separately and you must be sure that you are using the same amount all the time. Finally, you can choose to use a nail gun. This is an efficient method, which brings increased risk to your safety. People who want to use a nail gun for this purpose must be experienced because when they use it for roofing in cold weather it is not uncommon to injure themselves. Ice dams are one of the most typical problems for roofing when the temperatures are low. These formations don’t allow the snow on the roof to melt and they often cause roof leaks. If you want to avoid damage to the roof, you can use a heat cable of heat tapes. When it comes to safety, you must wear warm clothes, heavy shoes with special outsoles and thin protective gloves. Remember to ask for help from at least one person while you are working on the roof to avoid slip and fall accidents. 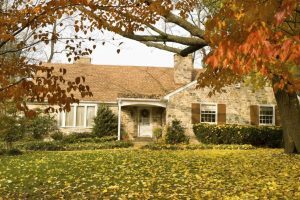 While some individuals are brave enough to get out in the cold weather to replace roofing shingles in the winter or during cold seasons, it’s best to hire a professional roofing company. Rock Solid Exteriors provides commercial roofing services as well as residential roofing services in Michigan. They also offer 24/7 emergency roof repair services in case of storm damage, snow or ice damage, or leaks. 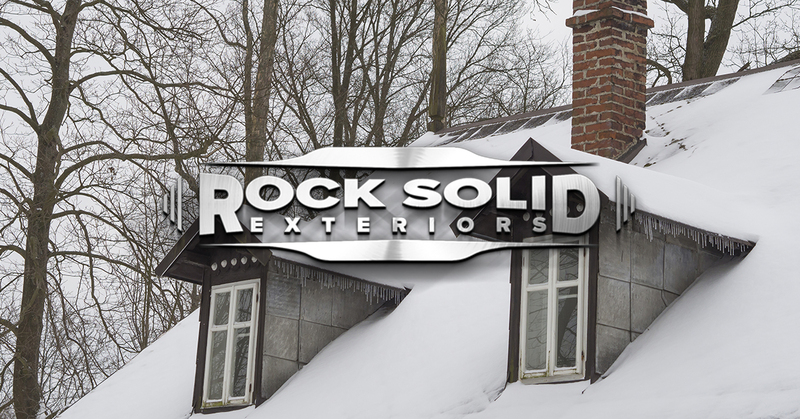 Contact them today at (844) 757-SOLID for a free roof consultation.